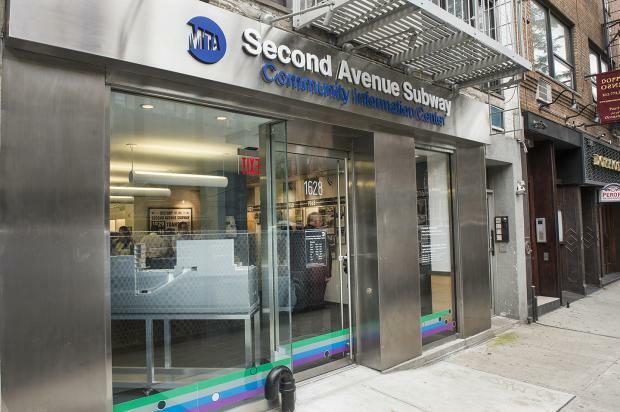 UPPER EAST SIDE — The Metropolitan Transportation Authority has opened a Second Avenue Subway Community Information Center, officials announced Thursday. The MTA has billed the center, located at 1628 Second Ave. between East 84th and 85th Streets, as "a one-stop shop to learn about the Second Avenue Subway, its construction and its long history," the agency said in a statement. The center is geared toward "those who live and work on Second Avenue, as well as the general public," officials said. An official at the center said it officially opens to the public on Friday. MTA Capital Construction President Michael Horodniceanu said the center encourages communication with the community — which has long worried that Second Avenue Subway construction is wreaking havoc on neighborhood quality of life. The center's offerings include "multimedia exhibitions demonstrating what it takes to build a project of this magnitude." Visitors will be able to use an iPad to scroll through a construction timeline and "tap dates to explore archival photos, videos, letters and maps" of the Q line extension, which is expected to be completed in December 2016. This first phase of the extension will bring the route from a revamped Lexington Avenue, East 63rd Street Station north to East 96th Street. Planned exhibits will discuss modern subway construction and "what you'll find in the subterranean world of Second Avenue." The Community Information Center is open to the public Monday, Tuesday and Thursday from 10 a.m. to 5 p.m., Wednesday from 1 p.m. to 8 p.m. and Friday from 8 a.m. to 3 p.m.